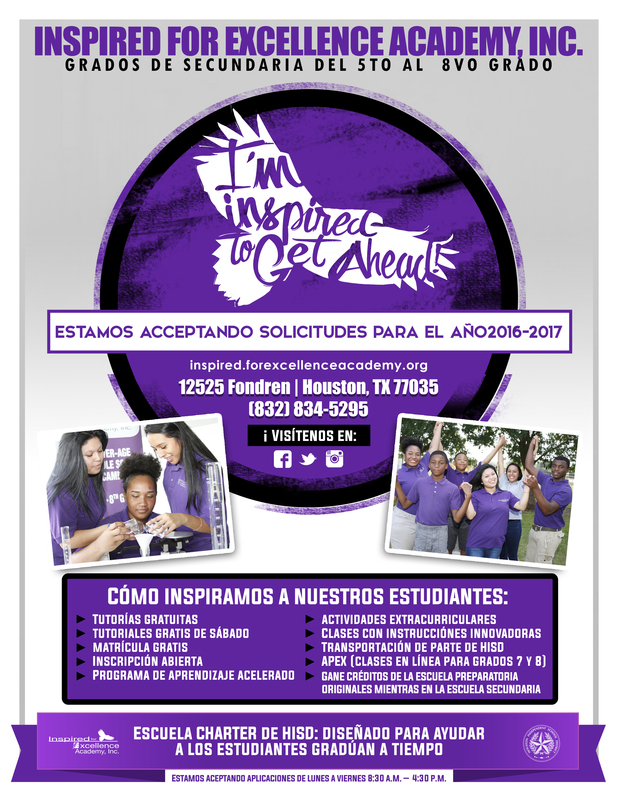 Inspired for Excellence Academy, Inc. was founded in 2008, as an HISD specialty charter school designed to provide accelerated learning for over-aged students in 5th through 8th grades aimed at getting them on track to graduate from High School on time. Enrollment: Inspired for Excellence Academy accepts HISD over-aged students year round. Has the capacity to accommodate 300 students in 2016-2017 academic school year. 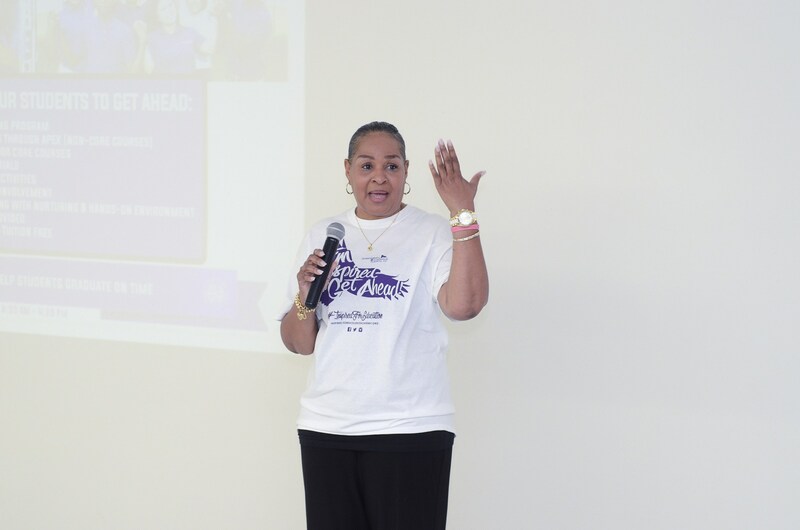 Principal, Letha Gilmore explains program at Open House.